Today is the final day of the party. I hope you have enjoyed November Seven so far. It’s been great getting to know all of my new friends! Today’s prizes…. a fun clutch from Amsie & recipe box from Cut the Cake Designs. Amy is the super sweet designer/owner of AMSIE. I just love her shop. So bright and happy. One of my new friends will be the lucky winners of one of her clutches. So take a peak at her shop & then let us know which you would choose if you are the winner. How could I not participate in my own launch party?! 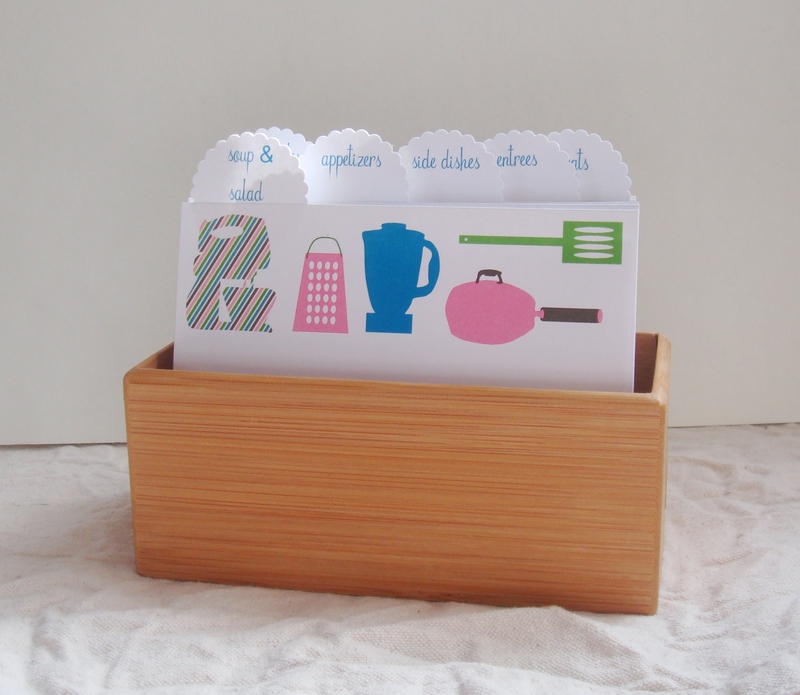 I will be giving one of my new friends this super cute Recipe Box. Thought I only made wedding stationery? Nope… I make all kinds of fun stuff. Check out my store. 1 entry – visit Cut the Cake Designs & leave a comment & share with us your favorite item. Good luck! Enter as many times you would like. Giveaway ends on 1/30/2011. All WINNERS will be announced on Monday!